Street/Strip Raced a guy from a light? Had that ride of yours on the timed track? Tell your story here. 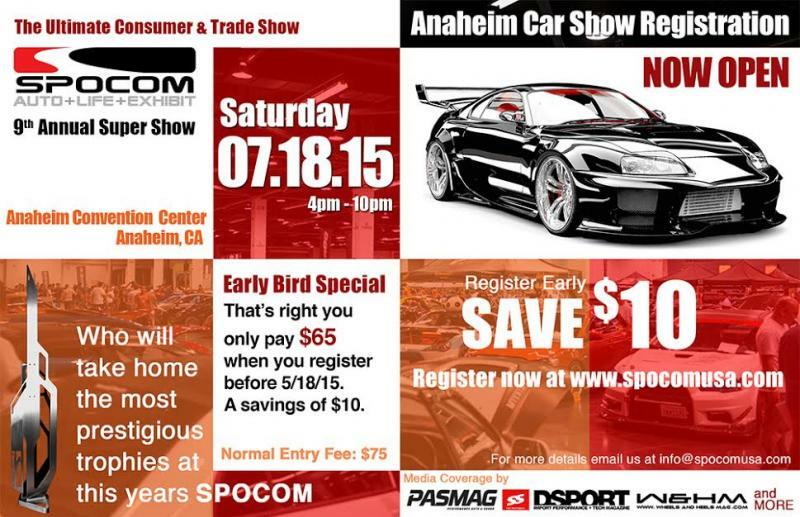 Spocom 2015 car show registration is now open for our 9th Annual SPOCOM Super show in Anaheim. Go to spocomusa.com to register your car before sports fill up. Prices go up in May.